What if Someone Else is Driving My Car? It can be confusing to understand who is covered under your own policy to drive your vehicle. Though policies will vary, the general rule is that anyone living in your house is typically covered when driving your car, unless expressly excluded on the policy. In many cases, everyone in the same household is actually required to be included on the vehicle’s insurance policy. Typically, even if the person driving your car has his or her own insurance, your insurance will likely pay damages first if there’s a crash. The driver’s insurance may cover some of the personal injury or medical expenses, and it may supplement your plan if the crash maxes out your policy. For those friends or family members who don’t live with you but use your car every once in a while, you can typically loan them your vehicle and not worry that they’ll be covered. Permissive use generally applies in these cases. Permissive use means that if you give another driver permission to take your car, they will be covered by your car’s insurance coverage. In an at-fault driver situation, when the driver of your vehicle is at fault in the accident, the only way to get coverage on the vehicle is by the owner of the vehicle’s insurance policy. In most states, comprehensive and collision coverage protects your vehicle regardless of who’s driving it. However, if the policy does not have collision coverage listed, no coverage is available. The vehicle’s deductible applies. It is between the vehicle owner and the at-fault driver to decide who will pay the deductible, but the owner of the vehicle is ultimately on the hook for the full amount. Either way, the deductible will have to be paid in order to get the vehicle repaired. The owner of the vehicle’s insurance policy will provide liability coverage, too. Depending on the degree of the accident, the vehicle’s liability may not be enough to cover the damages. If your liability limits are not enough to cover all the damages inflected on the other party, your friend’s auto policy may be looked at secondary coverage. In that case, the driver’s car insurance policy can pick up additional liability if the limits are higher than what were on the vehicle driven in the accident. So far we’ve discussed when you have allowed a driver to drive your car. Car insurance follows the vehicle. This means that if you loan out your car to a driver who is not excluded on your policy, your car insurance is the primary coverage that would apply if a crash occurred. The driver’s insurance would act as secondary insurance. However, if you’ve excluded a driver from your auto insurance policy, e.g., because his or her driving record is poor and it could save you money to exclude him or her, your coverage will not pay for damages he/she incurs in the vehicle if he/she takes your car and gets into a crash. Depending on your state, if you did NOT give permission for the excluded driver to take your car, you might not be held liable for damages. Check with your insurance agent or attorney to see what exactly is covered under your policy. 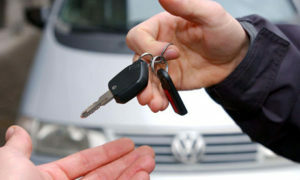 Furthermore, if your car is taken without your permission, it can be difficult to prove you didn’t give permission. You’ll generally end up paying. However, if it’s clear you did not allow someone else to drive your car and an accident happens, one of a few scenarios could occur, like theft, for example. Ultimately, remember: you are going to be on the hook for the costs of the damage caused by another driver. Is it really worth the risk? Only you can decide.